If you aren’t using video in your advertising campaigns, it’s time to start. We’re going to dive into how to create videos that both engage and convert in this article. But first, let’s talk about why including video advertising in your marketing strategy is no longer a “nice to have”, but necessary and effective for new business owners to large corporations. Here are some stats on why video works. Video helps your message go viral. BrightCove reported that social video generates 1200% more shares than text and images combined. Viewers retain 95% of the information conveyed in a message when they watch it in a video, compared to 10% when reading text. Consumers are 27 times more likely to click on an online video ad than a banner ad. The market research firm, Aberdeen Group, shares that companies who use video for marketing are growing their revenue 49% faster than brands that aren’t. One minute of video is worth 1.8 million words to a consumer when it comes to swaying an audience, says Dr. James McQuivey at Forrester Research. This means that 1.8 million words, which is about 3600 pages would translate to the equivalent communication of 60 seconds worth of video. So in short, video is the best storytelling tool marketers can harness in their campaigns, especially in social media, making information more engaging, and easier to digest. This article is going to focus on how to create videos for Facebook and Youtube advertising, what elements are important to include, and how the strategy is slightly different between the two platforms. Let’s start with the main difference between Facebook and YouTube video strategy. When looking at the creation of video for Facebook versus YouTube advertising, there is one main difference: the strategy you use to create your content from. YouTube’s platform is based on search-driven traffic, the same as how you would search via Google or Bing. This means that any video you create for YouTube should start with a question to answer. Your audience will find your video as the answer to their question. Facebook video content is what we like to call “distraction traffic”, where users are looking for something to grab their attention. You can not find Facebook videos the same way you can search for YouTube, so the engagement and shareability factors for Facebook video are highly important to attain more viewers. Facebook video content must be created around a deeper understanding of the target audience’s pain points, and directly address the pain point in the video, along with supplying the answer in the video or through a solution that can be clicked on or accessed directly through the video. Whether you are creating a video for Facebook or YouTube, the following components are a must for each platform if you want to generate more traffic and increase conversions on your campaigns. Here is the framework your video must follow. Build connection and provide a solution or answer to a problem or interest. Let’s elaborate on each of these elements. You must grab attention within the first few seconds. It has been calculated that people will stop watching videos online seconds in. Basically, no matter how great your message, your concept, or how catchy your background music is, most people are going to drop off your video quickly. This means you have to maximize the time you do have their attention, and fast (within the first 3-5 seconds). How do you go about doing this? 1. Ask a relevant, engaging question. For example, if you are targeting new business owners, asking something like “How are you going to hit your sales goals this quarter?” or “Do you know what separates a successful business from the mass majority that fail?” The key is to make the question relatable to the problem you are solving. 2. Directly state a known problem or speak their pain point. Think about ads you’ve watched. When the video starts off with a problem that you are currently facing and want to fix, your attention can’t help but be captured. 3. Surprise the audience or call them out. A brand that does this well is Squatty Potty. With a unicorn making ice cream cones in the first few seconds, you can’t help but be intrigued to keep watching. Dollar Shave Club is another great example of both shock (swearing) and calling the audience out on buying overpriced razors. Pro tip: Many marketers have their branding and logo on their video the first few seconds. Move this as a break after your attention grabber or to the end of your video. Alternatively, you can craft creative ways to have your branding show up throughout the video. To provide the solution you can begin sharing about the product or service you have created that contains the answer. A good example when the goal is to capture new leads is to create a video to promote the download of an eBook or free training. This can also be used for contests and giveaways, providing a way for the video users to win the product or service they desire. A great CTA in a video ad contains three parts. What to do. Do you want them to submit their email, buy a product, etc. Why to do it. Remind them of the value they will get if they do what you want them to (by solving their problem). How to do it. Should they “click here”, submit their email, create a video to submit, tag a friend, etc. Keep the long-term picture in mind. It’s really easy to get caught up in short-term campaign goals that typically involve conversions where your product or service is purchased through a campaign page or your website. While yes, these are important and you should care and aim to hit your short-term goals, it is equally as important to pair long-term strategy with short-term. Longer term strategies include building brand awareness and preference with audiences to bring in a steady stream of new leads that are nurtured until they are ready to buy. Giveaways are a great way to do this. 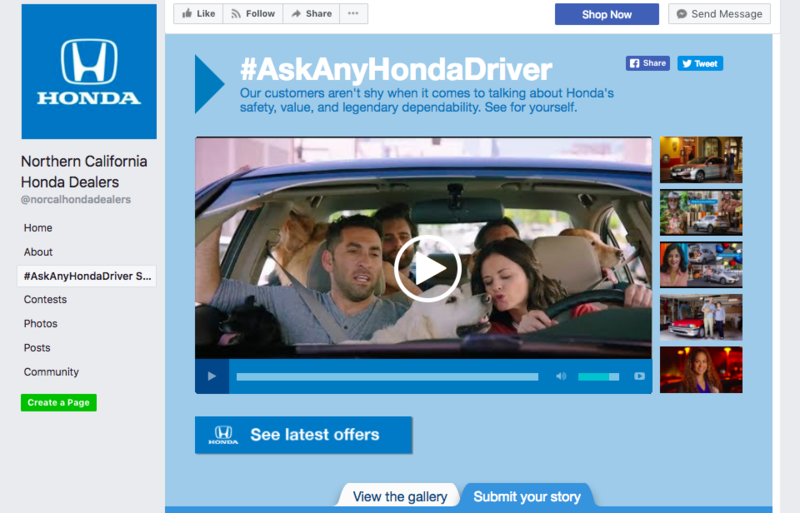 Woobox client, Northern California Honda Dealers, effectively used video to promote their brand awareness and lead generation campaign. By getting viewers slowly familiar with your brand, you keep a steady flow of new leads coming in, that are continuously primed to become warm leads, and eventually customers. This means that headlines and text become incredibly important to incorporate in your videos. A super simple way to do this effectively on a budget is to add your visuals and text into a powerpoint presentation. Focus on creating text in bold, dynamic ways. Once you complete the message, hit play, and use Quicktime to create a screen recording and use the download as your video ad. There are also plenty of apps out there now that allow video creators to add narration to the video, so viewers on silent mode will get the same effect. So you’ve created your video and you are ready to publish your ad. Let’s go through a quick rundown of how to properly set up your video for your Facebook campaign. 1. Make sure to upload the file directly. Do not use a YouTube URL or any other outside hosting platform, Facebook prefers native video. 2. Make sure you have a landing page built that the video CTA leads to. Woobox makes it incredibly easy to create beautiful custom landing pages that you can embed on your website. 3. Use either the “Traffic” or “Conversions” options for your campaign. Use “Conversions” if your website has a lot of traffic already, and “Traffic” if you are brand new or have little monthly site traffic. 4. Set up a custom audience that your video’s core problem resonates with. Learn how to create audiences from our previous article here. 5. Make sure your budget is no lower than $10, and have your ad run continuously. This allows you to pause and resume the campaign whenever you want while maintaining the momentum achieved. 6. Create a custom thumbnail, but make sure the text is not the focus. 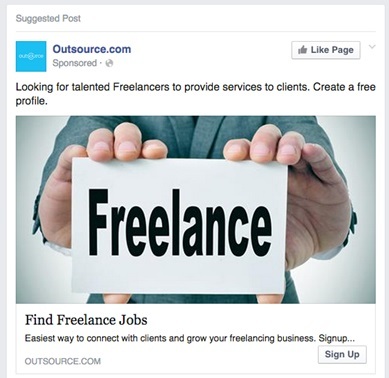 Facebook will block an ad if the text is taking up too much space. 7. Add your landing page URL to your Facebook Ad campaign link. 8. Edit the text above your video to call out the problem your video is focused on solving. 9. Edit the CTA button to the appropriate text that tells the user what to do next. 10. You are ready to publish. YouTube has a different set of considerations when creating the ad set up through Google Adwords, and we didn’t have the space in this article to go through each step of the process. Woobox makes it incredibly easy to set up landing pages to support your video advertising and seamless contests and giveaway promotions through Facebook.